This time, we offer 800sqm trial set which can confirm the performance in the building to the owners, management companies and energy consultants, etc. 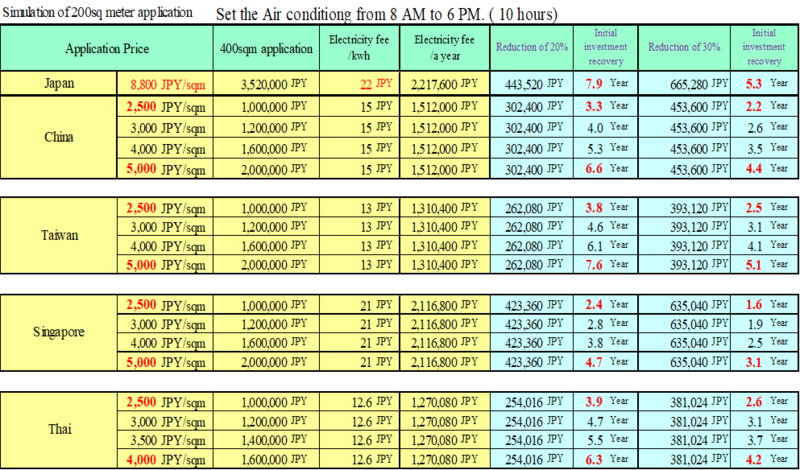 Moreover, it is a special price package 1.3 million JPY set (1,250JPY per 1sqm) includes the 3days training. 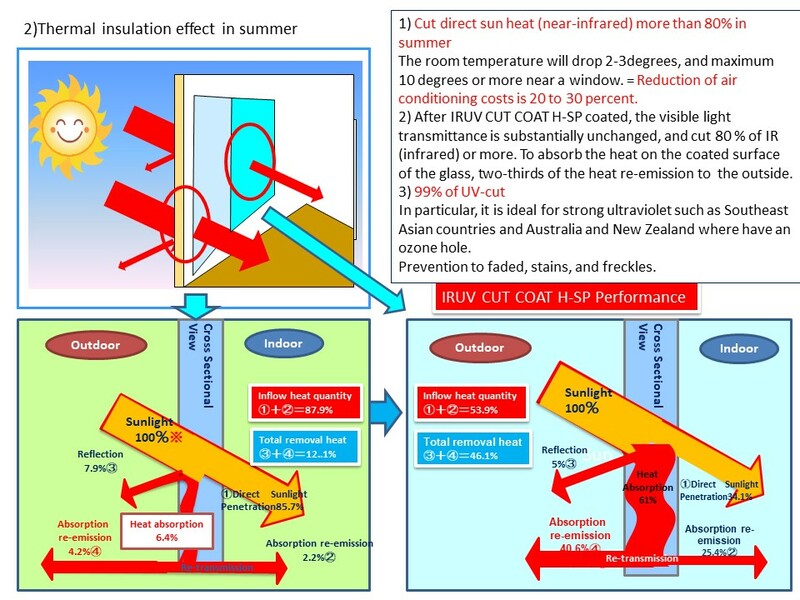 The reduction of the temperature 5 to 10℃ in the summer from the window direct heat and 2 to 3℃ in the whole room temperature, it means the 20-30% energy saving in air conditioning load reduction. 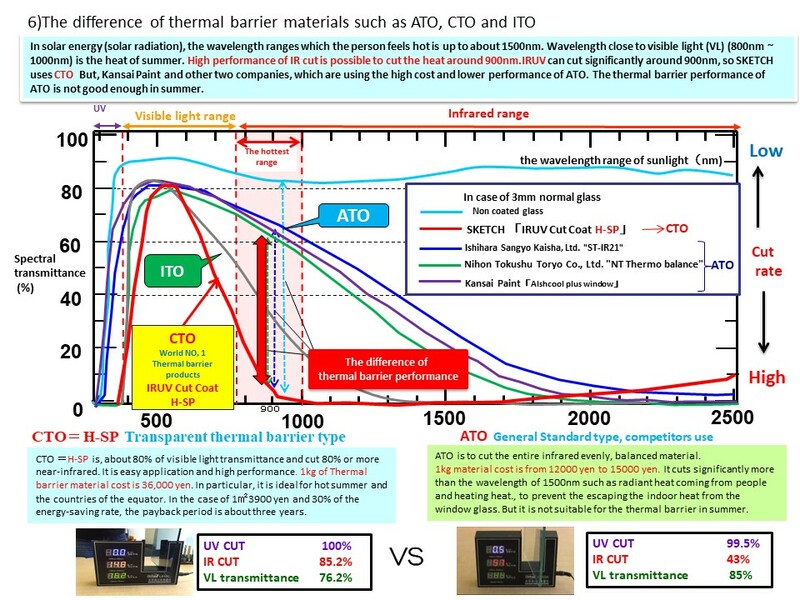 ※The simulation is set that reduction of 1 ℃ is 10% of energy saving. It is possible to be payback about three years when applied 3,000~5,000JPY per 1sqm. 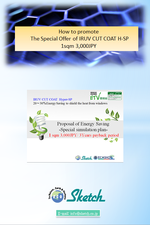 It will be more than 20% of energy saving in 10years. 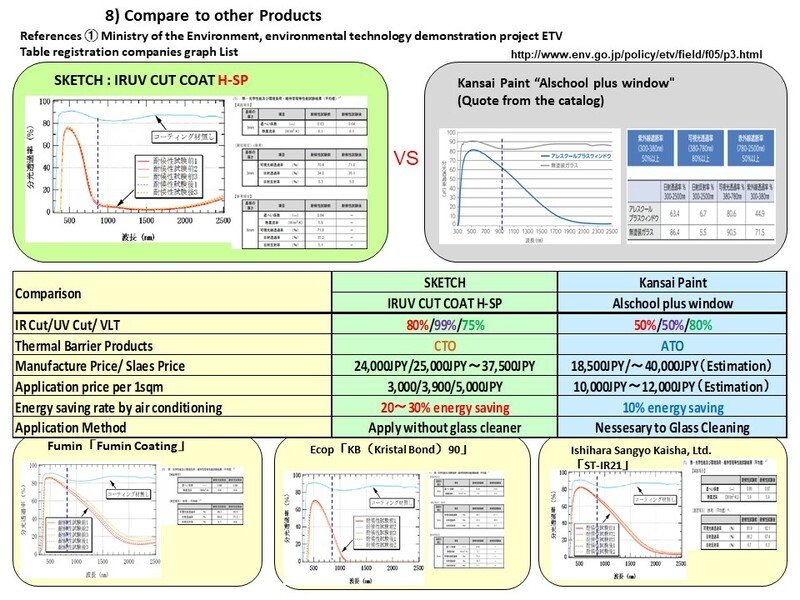 1.3 million JPY set can learn application of IRUV CUT COAT H-SP, Verification and energy-saving calculation method. 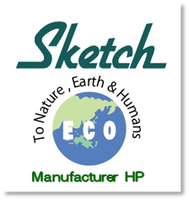 Supervisor of ECO SHOP is traveled to each country and it is a system to training over a period of 3 days. 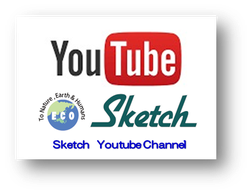 The OJT training and applicator training to the actual user, is a special plan that energy-saving business can easily start. 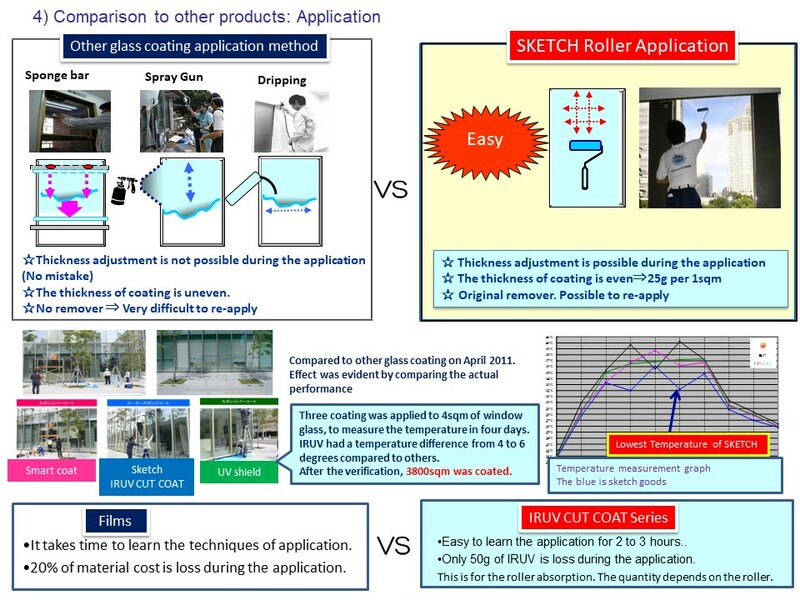 You can learn the Know-how of energy-saving business in Japan..
※If Super hydrophilic primer can be applied without repelled on the glass surface, we don’ t need to remove oil film with glass cleaner .In the case of that, One applicator can apply IRUV Cut Coat Hyper-SP about 50sqm per a day. 1.3 million JPY set can apply 800sqm. It is set in the application price 6,000JPY ~10,000JPY per 1sqm, but this time special application price is 3,000JPY ~5,000JPYper 1sqm. 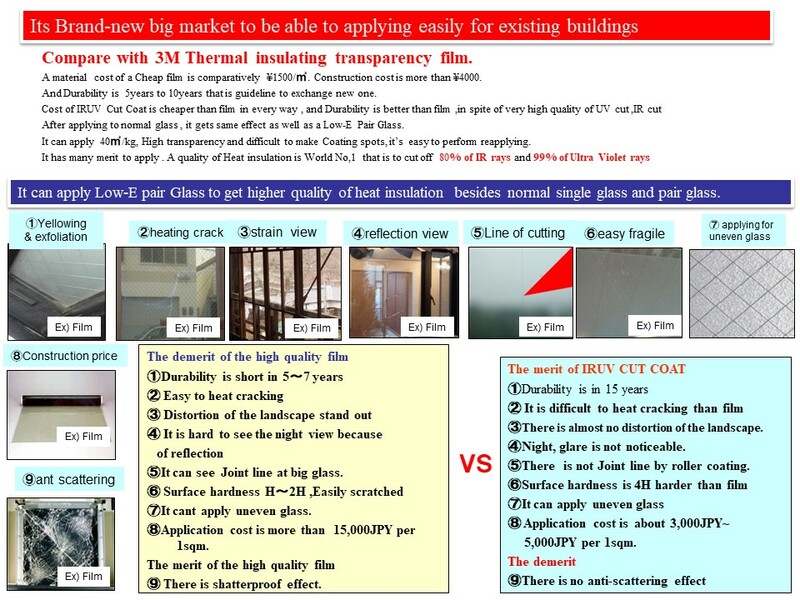 But it is the lower price and well performance compere to the film such as 6,000~10,000JPY per 1sqm or more. 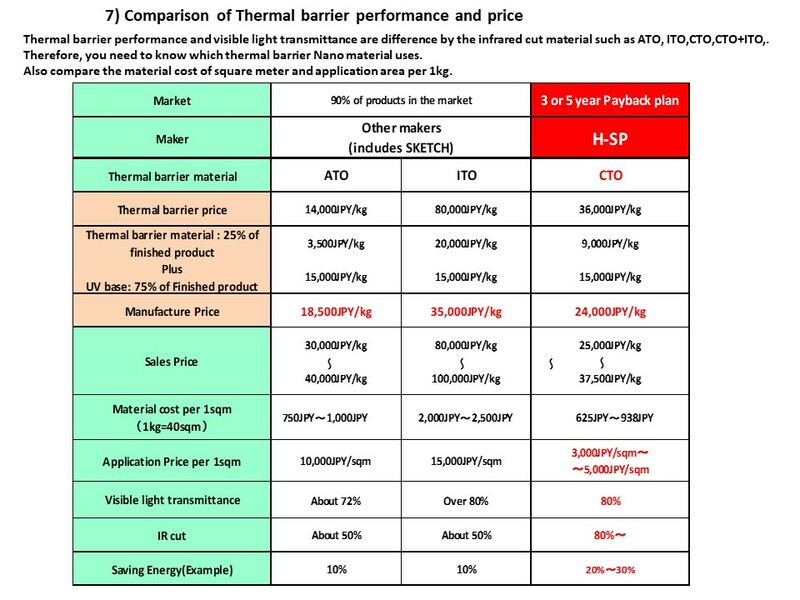 Also, take the temperature data by test trials with the half price, you can take advantage of the subsequent sales. Even half price, 3,000~5,000JPY per 1sqm, you can expect the enough profit. * Data is for reference number. 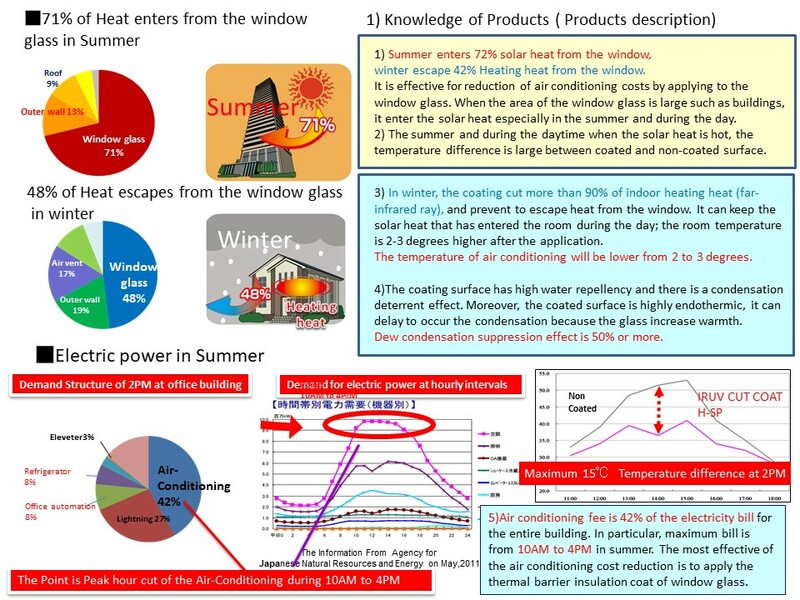 ◆What is the reason for the trial application? 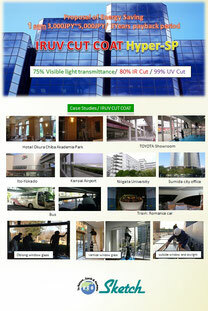 ① 1 Million JPY package can apply for 800sq meter. Low Risk to start the new business. ② A special price, 3,000JPY~5,000JPY per 1sq meter (50% OFF from the regular price). 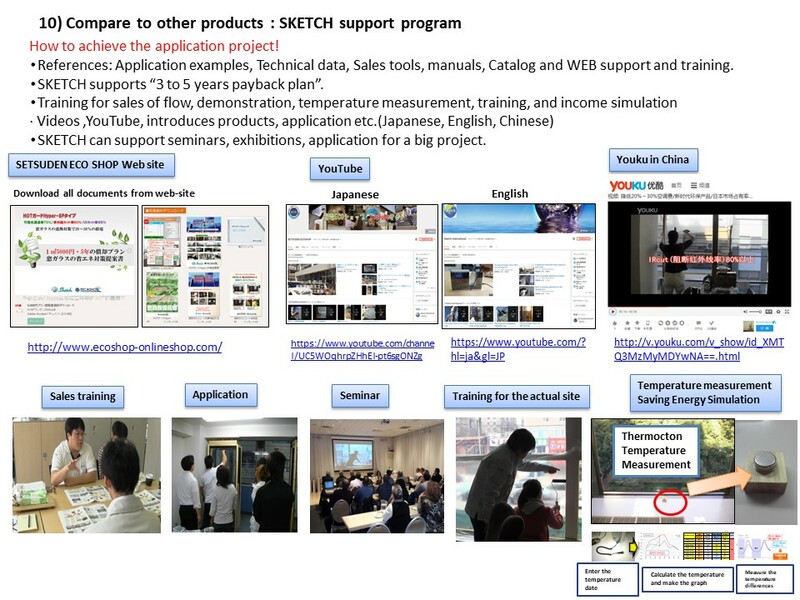 Because of it, it is easy to take the test application project. Also there will be profit. 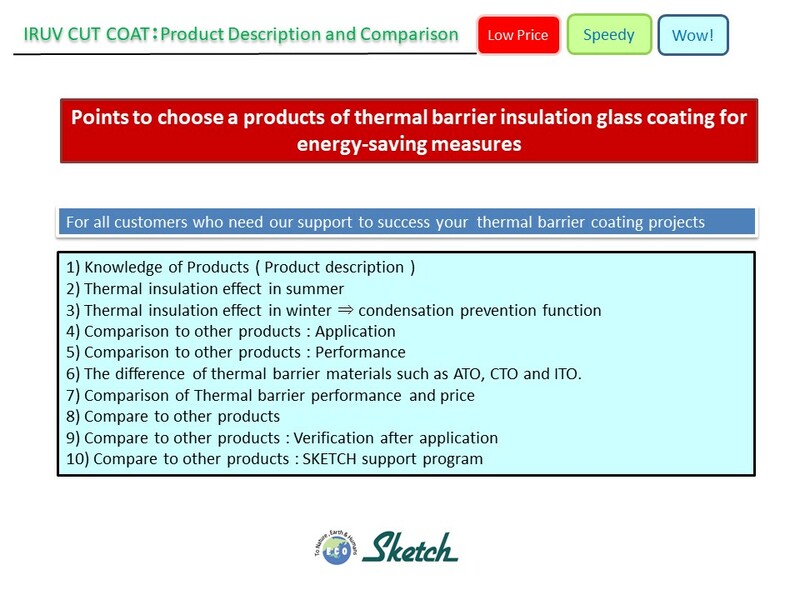 While the trial , applicators can learn the application, how to measure the temperature comparison data and thermal barrier performance. 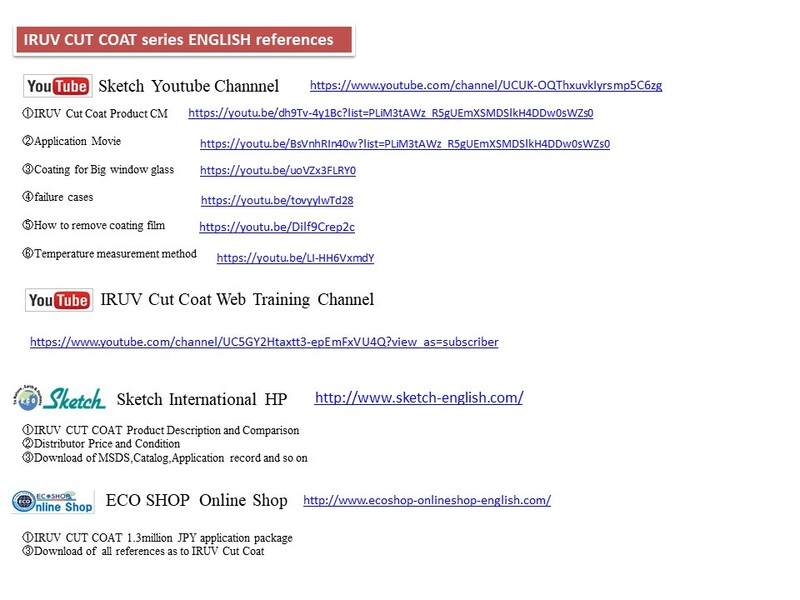 ③ The training will be provided by ECO shop Web site. 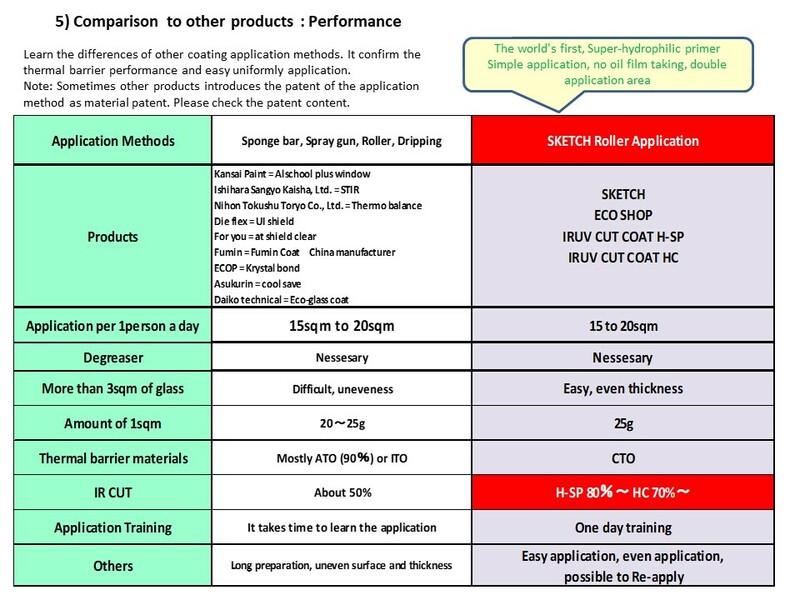 ④ World advanced product, IRUV CUT COAT has No.1 performance and Price. 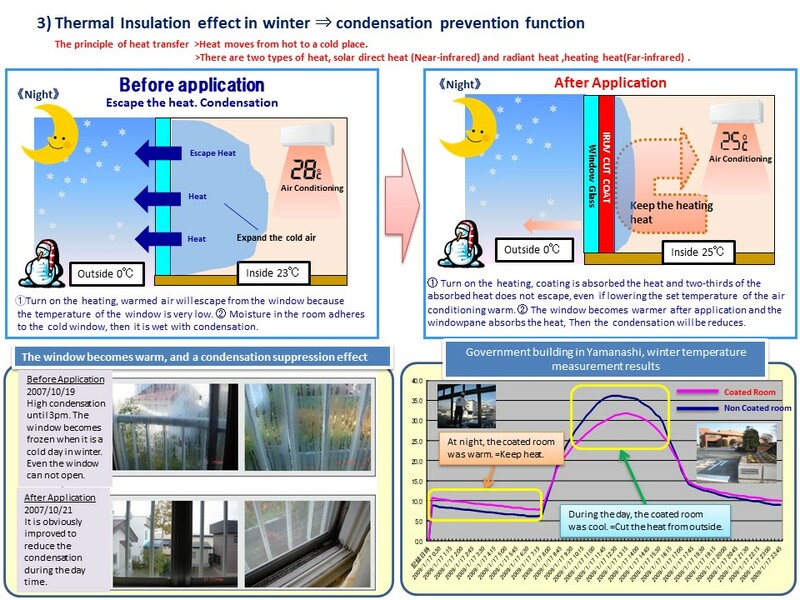 ① Approximately 20 to 30% energy saving. Simulate to 3 years payback. ② Less than 3 years payback when the area is close to equator. 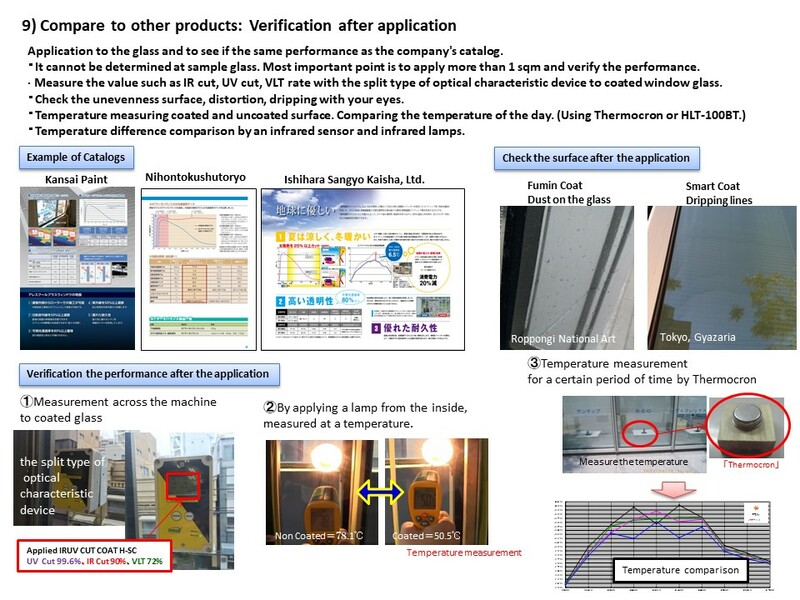 ③ Collect energy saving date by trial application and measuring the temperature. ① One person can apply 50 sq. meter per a day. 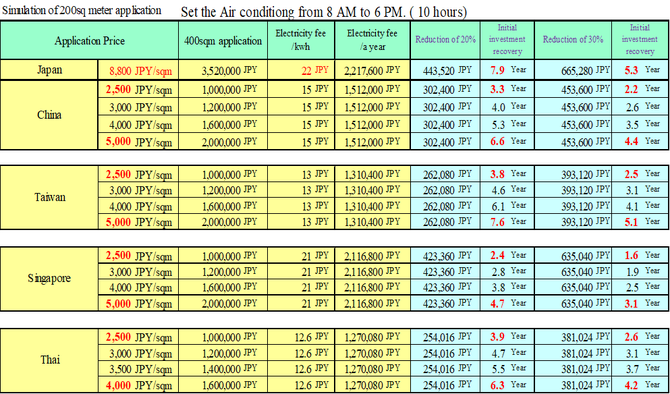 So the application fee is about 100JPY per sqm. Especially China and Southeast Asia. 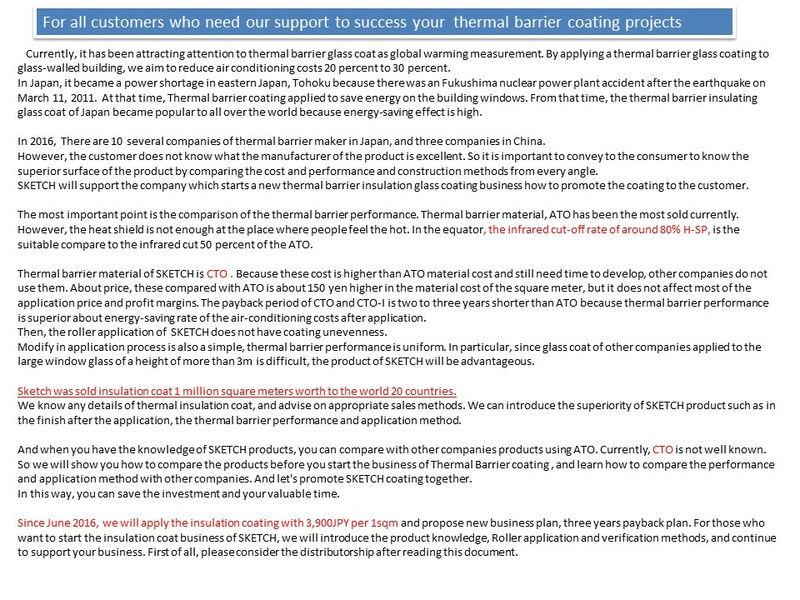 ② It is a new business offer except in Japan and will have a big market. ③ Maximum profit simulation is more than 65%.